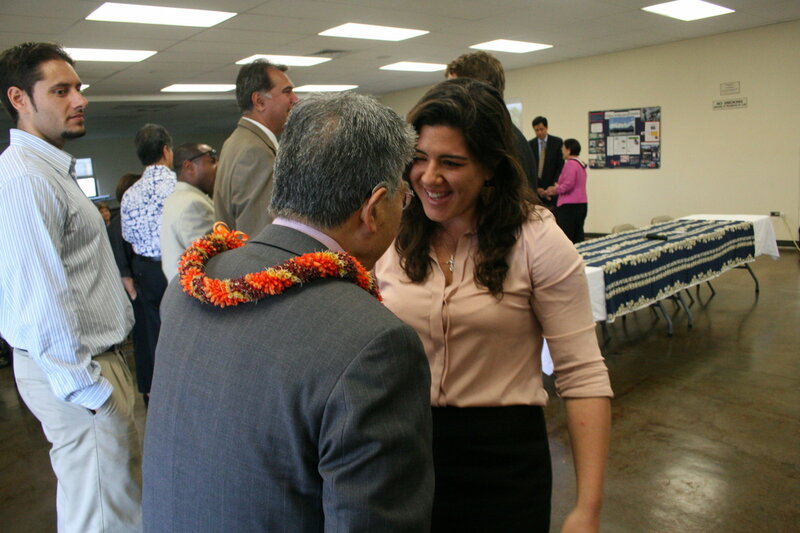 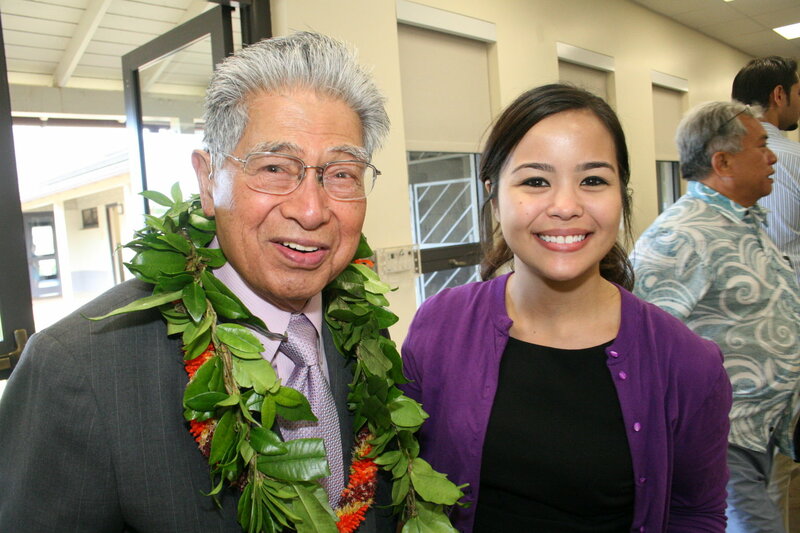 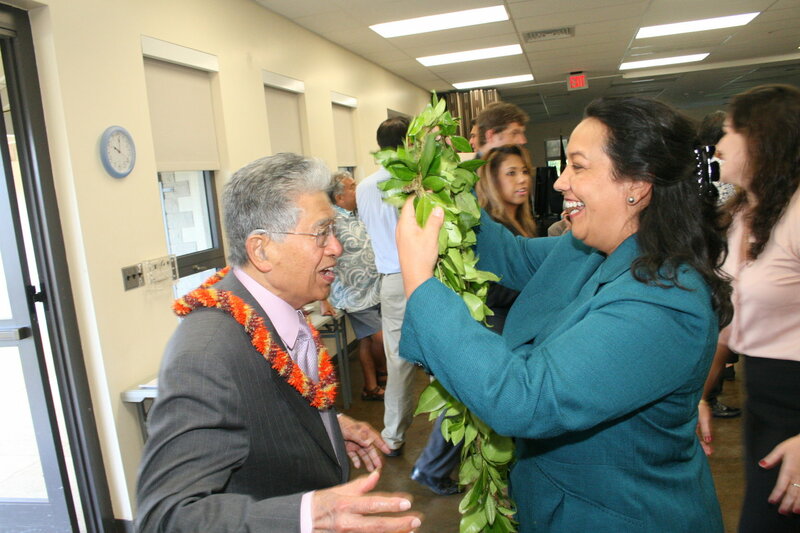 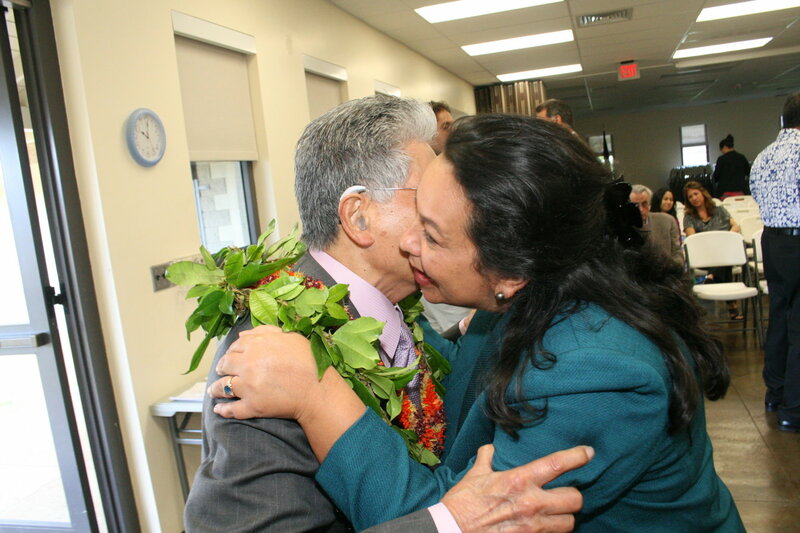 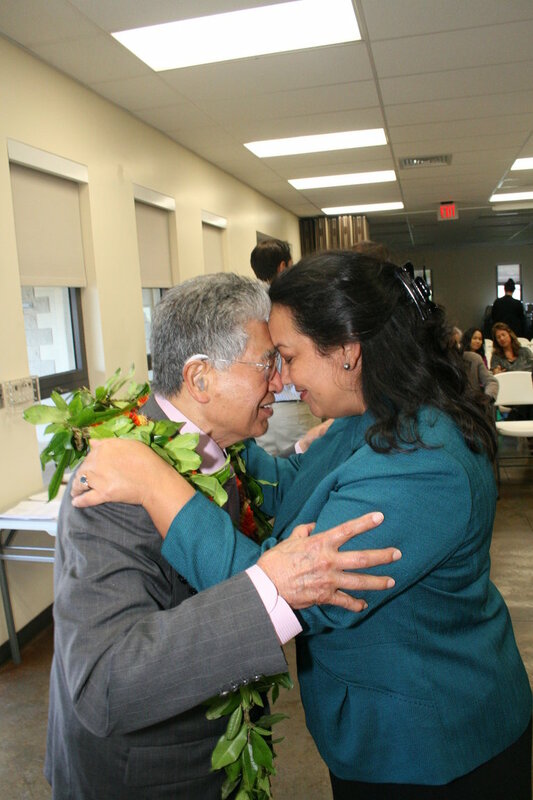 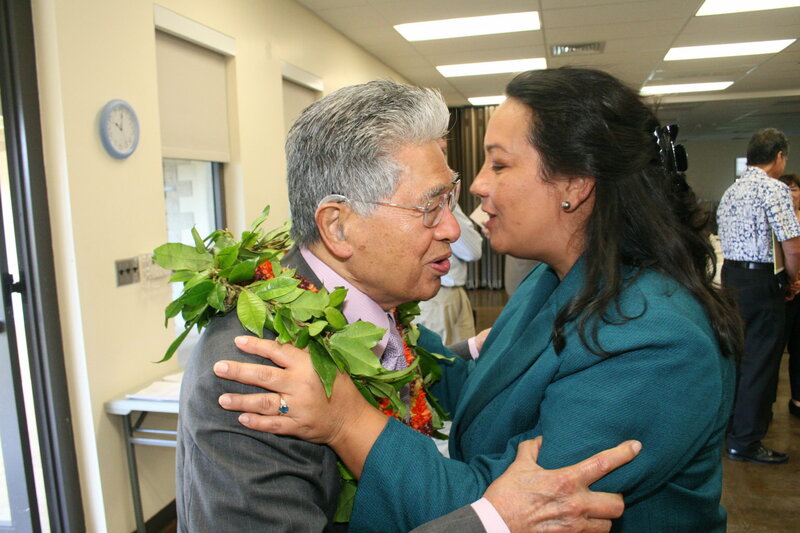 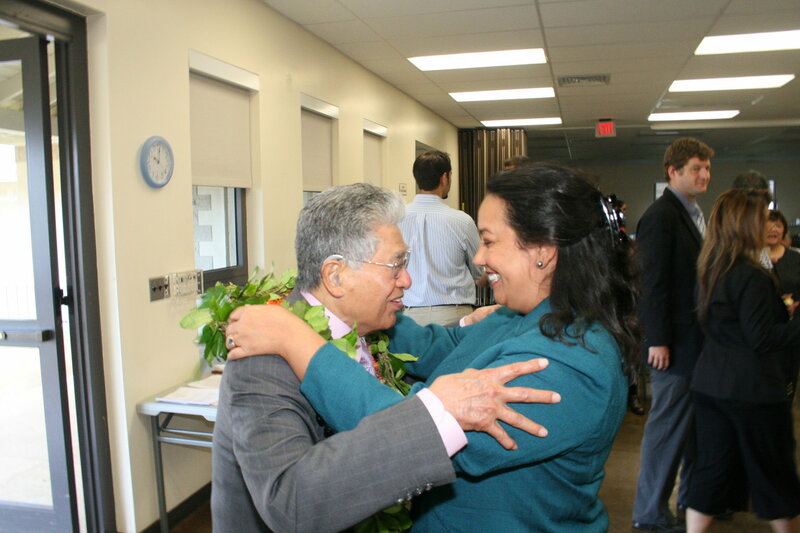 Senator Daniel K. Akaka paused with Hawaiian Homes Deputy Chair Michelle Kaʻuhane before today's Senate Indian Affairs Committee hearing at the Oʻahu Veterans Center in Foster Village. 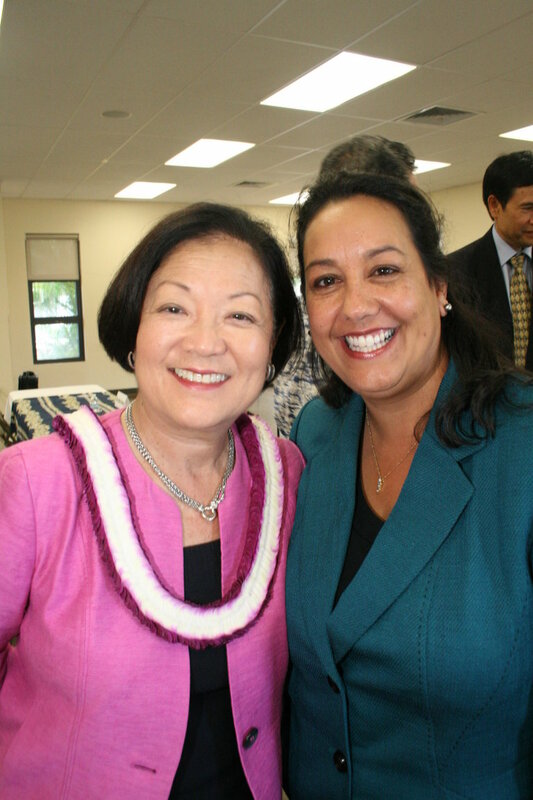 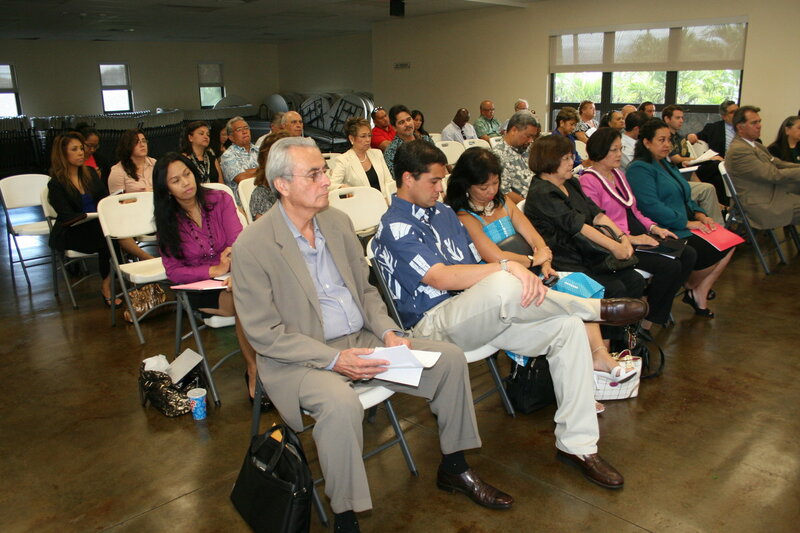 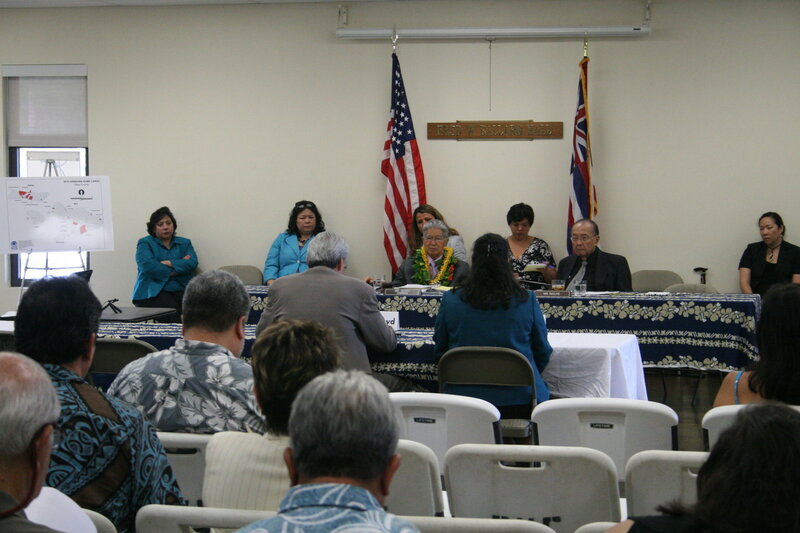 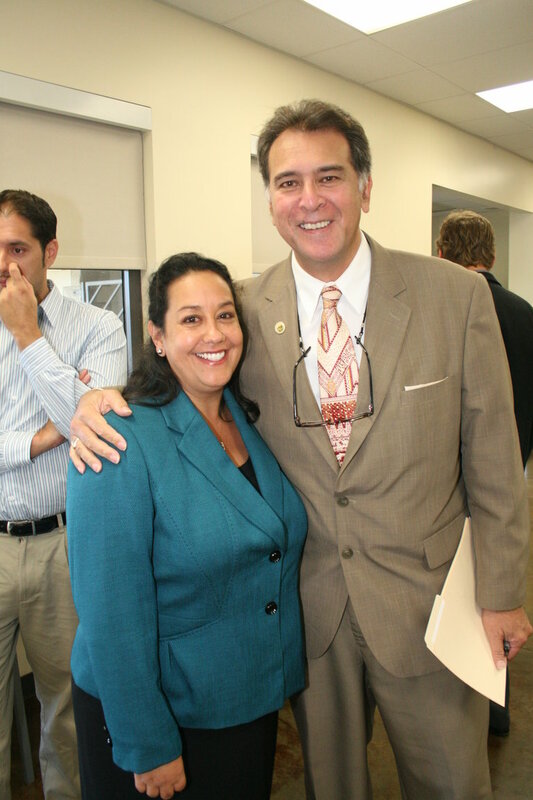 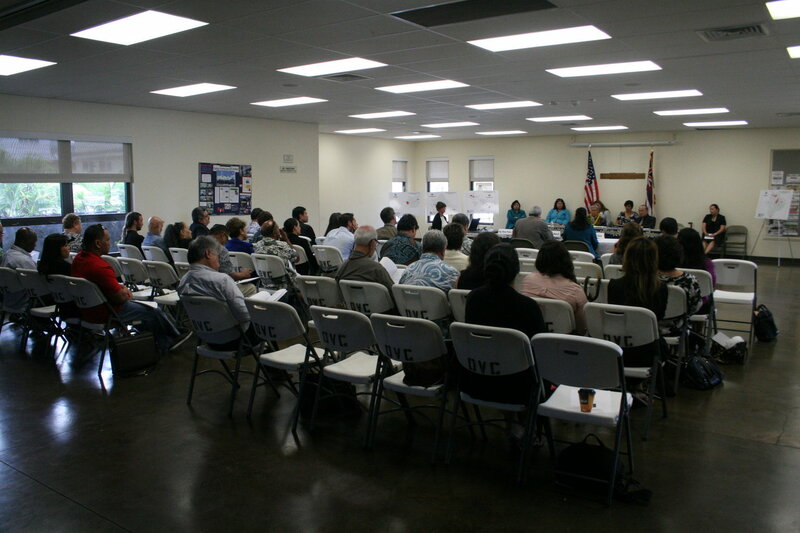 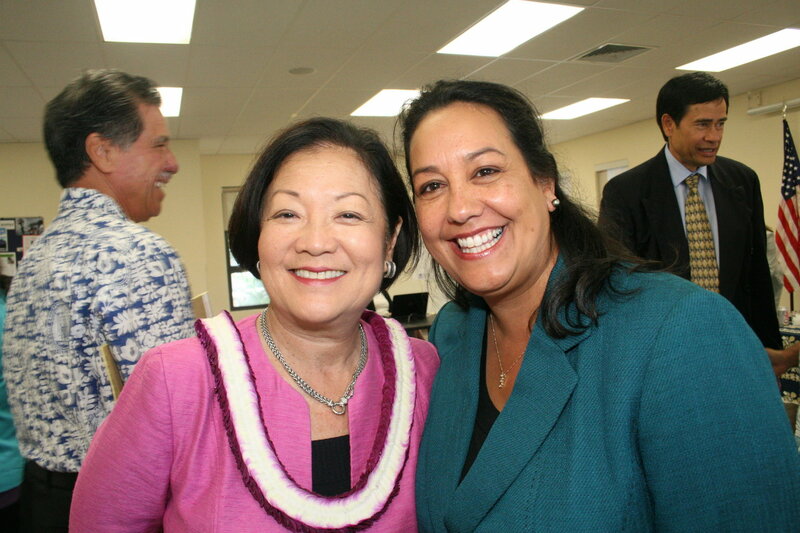 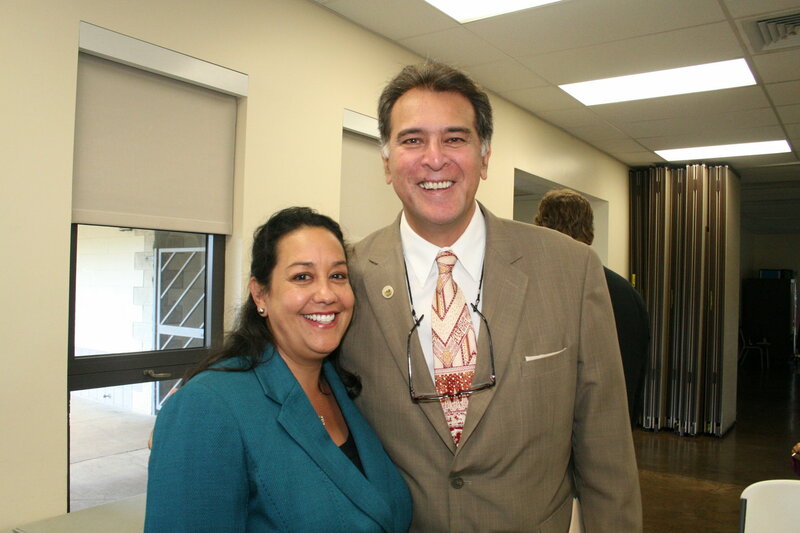 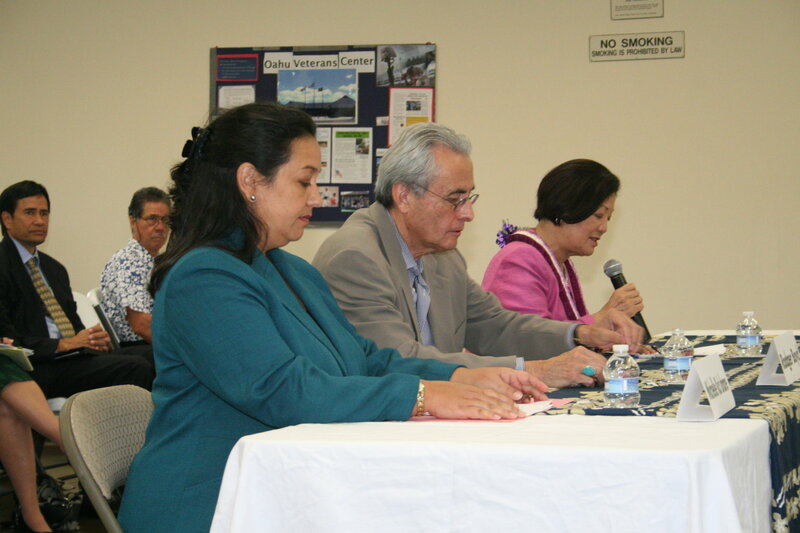 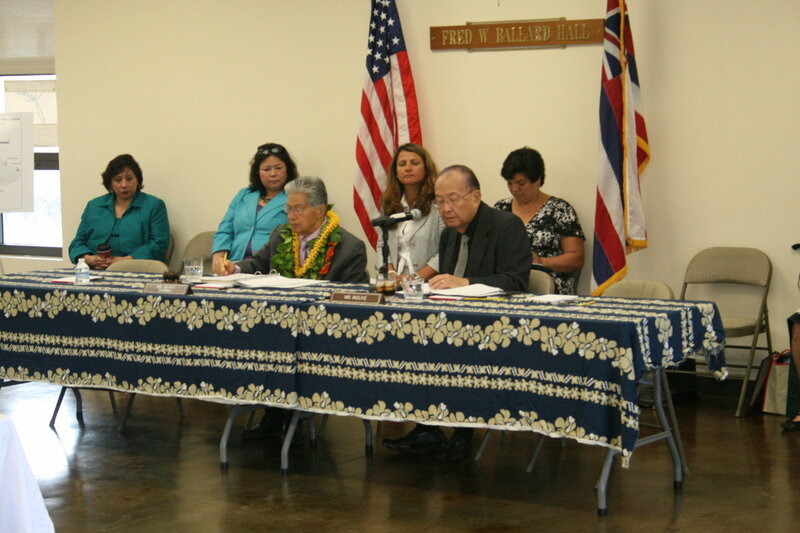 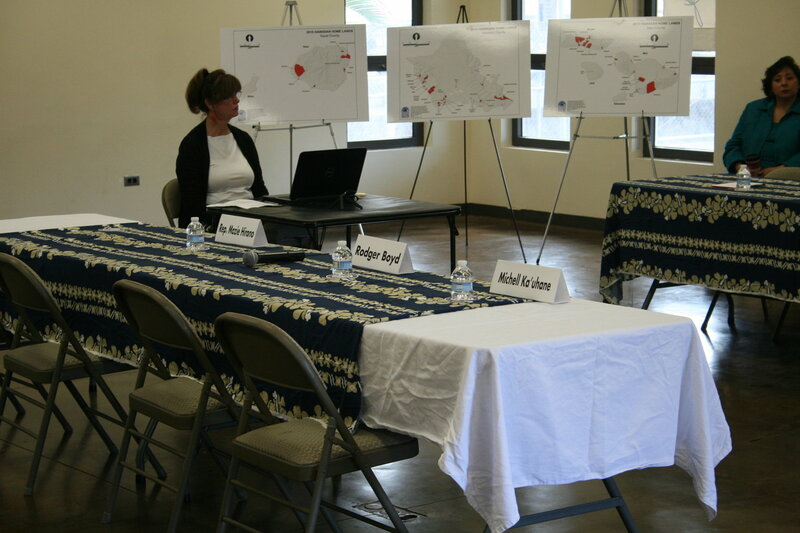 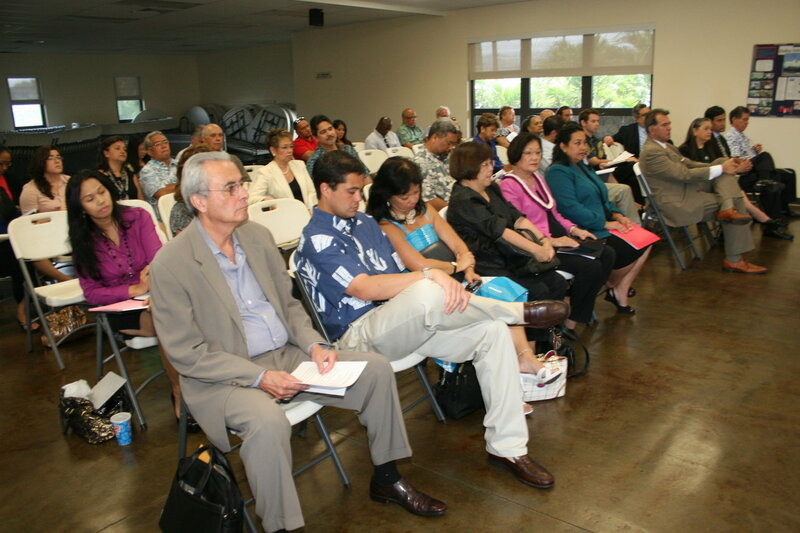 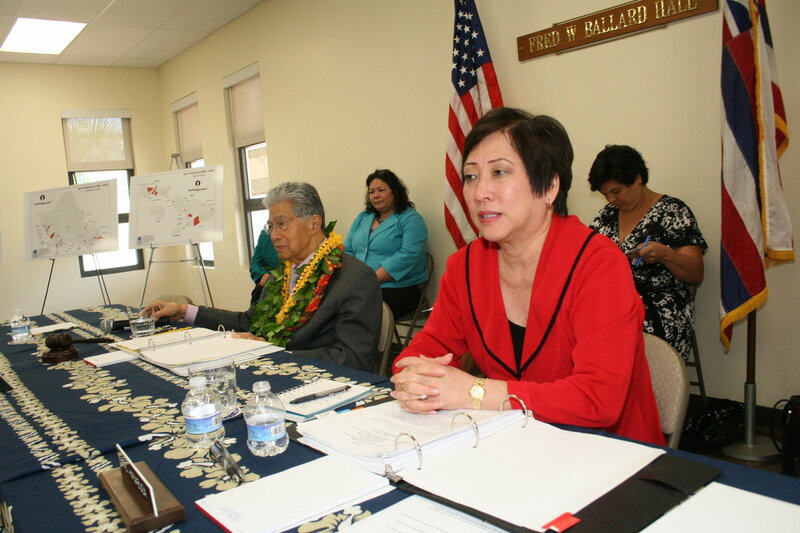 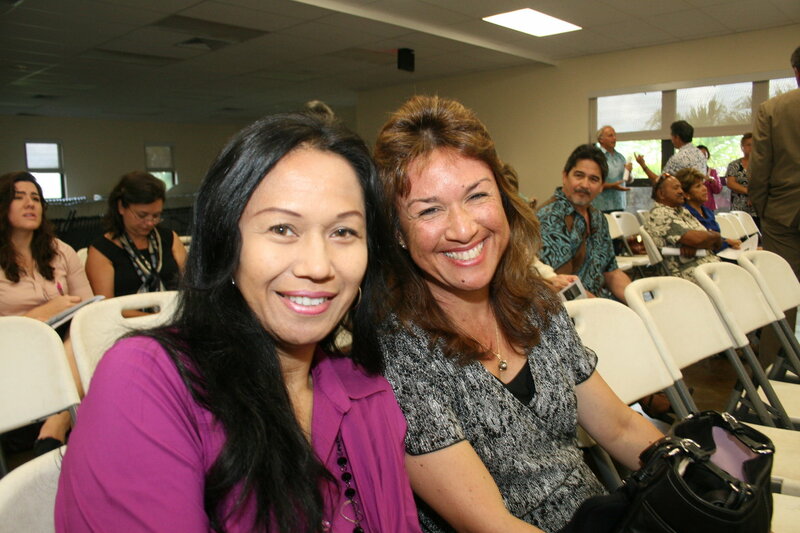 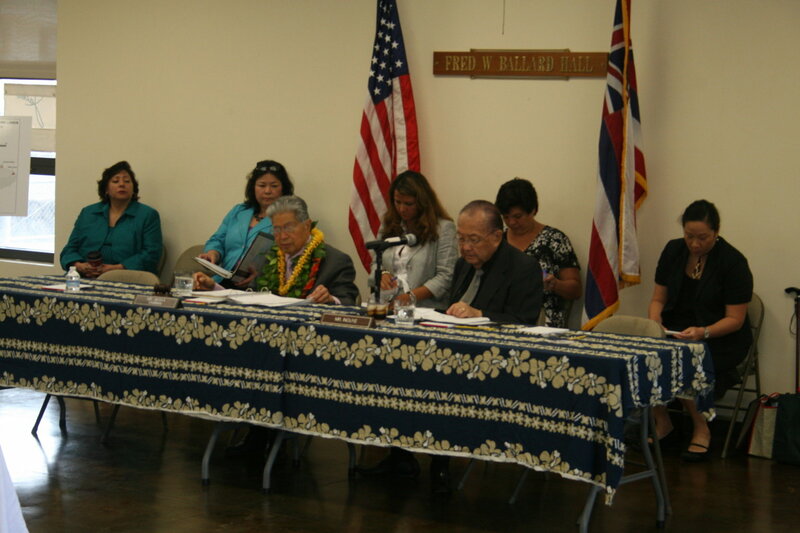 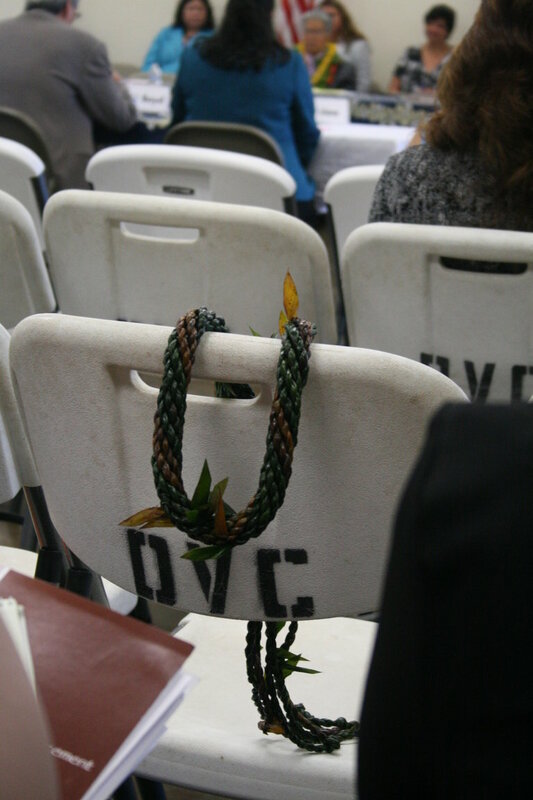 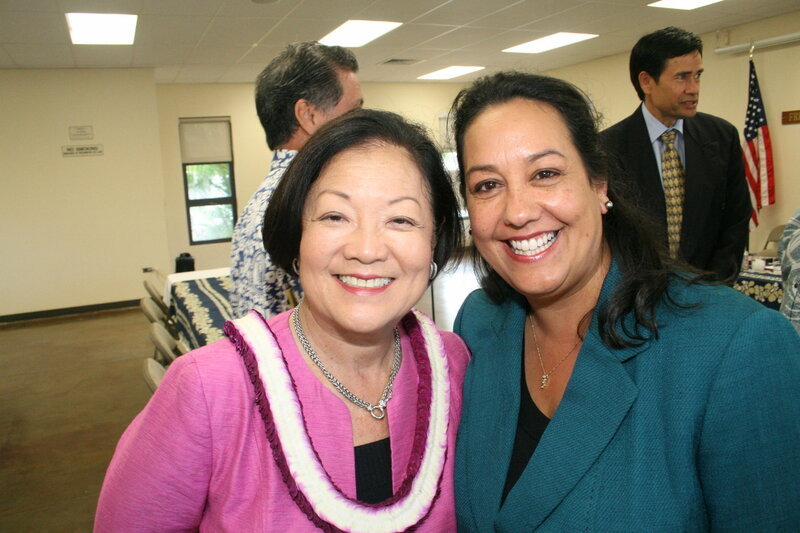 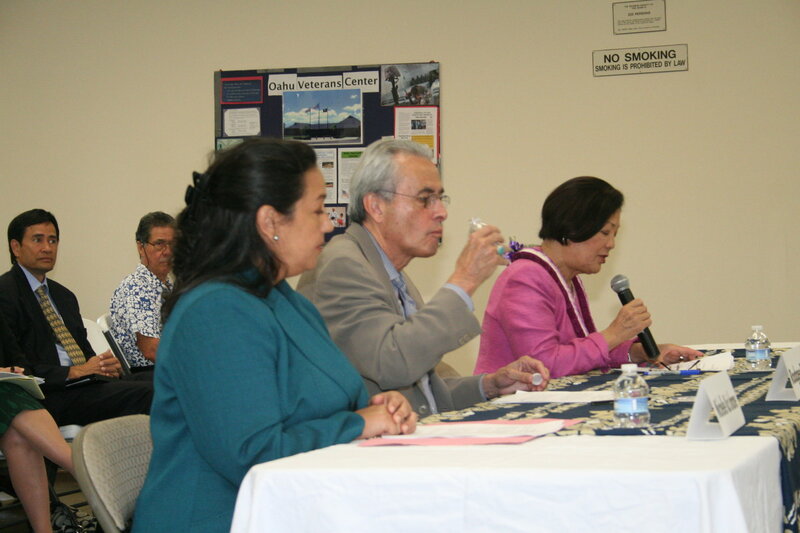 HONOLULU – Home ownership for Native Hawaiians was front and center at a legislative field hearing held by U.S. 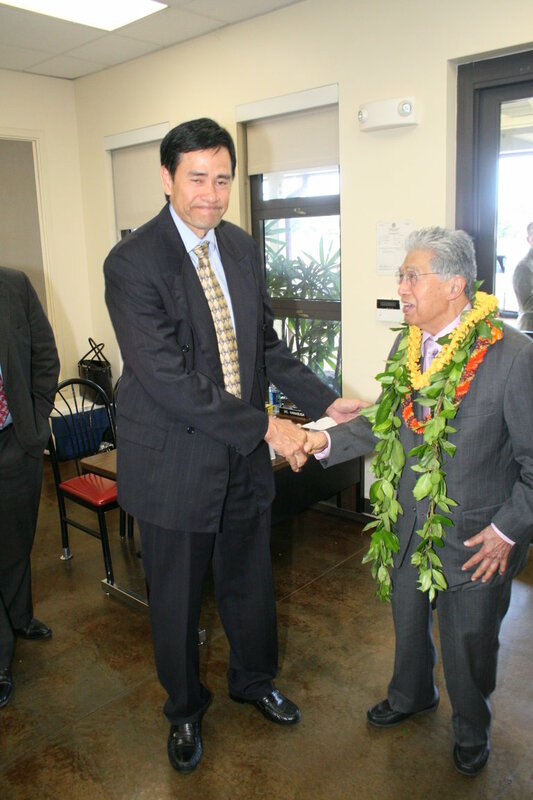 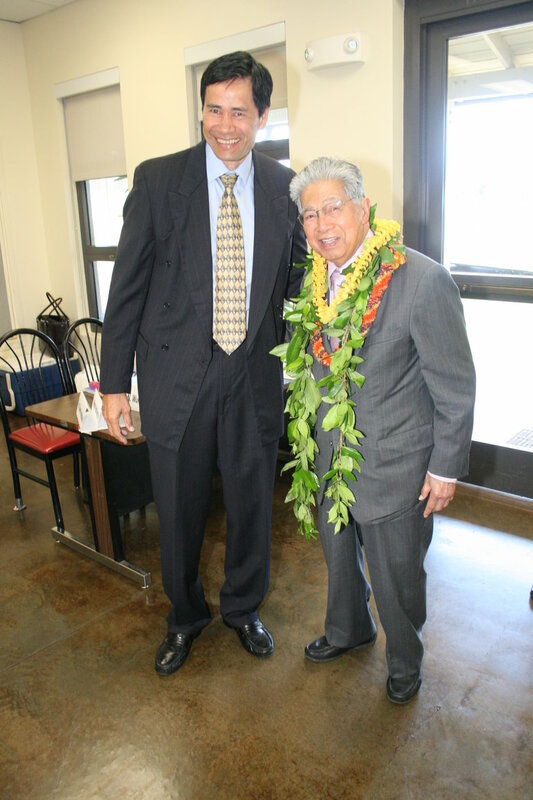 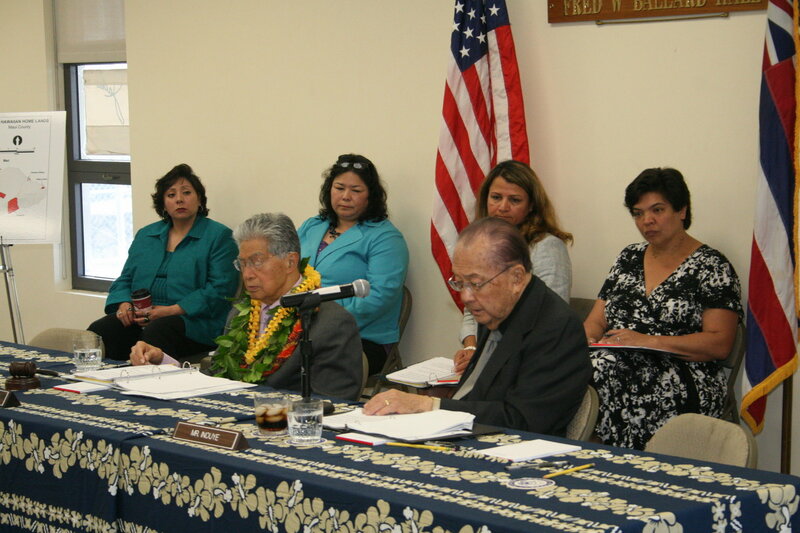 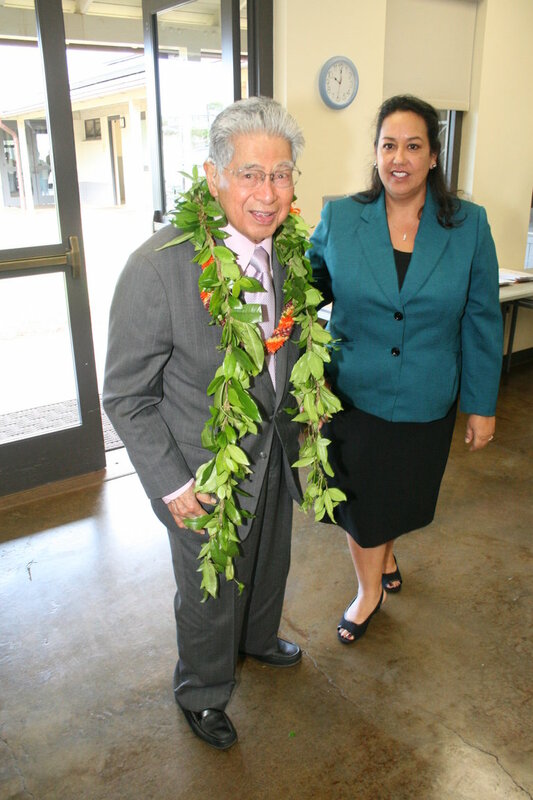 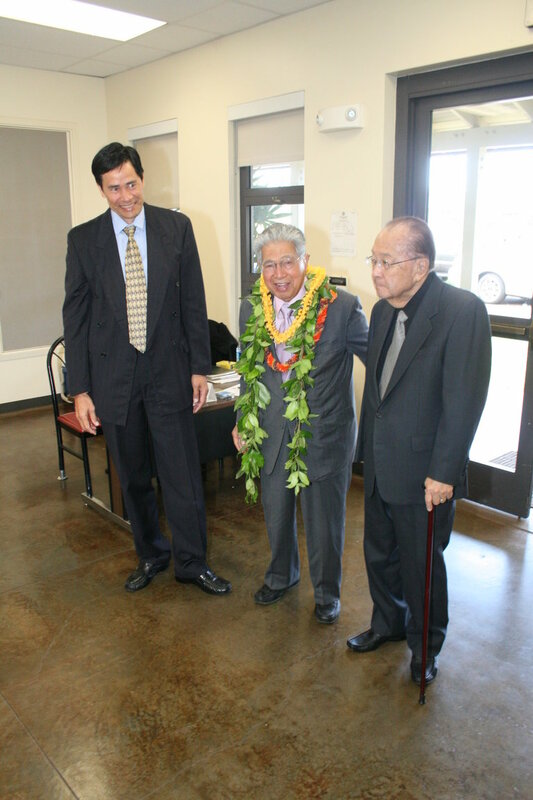 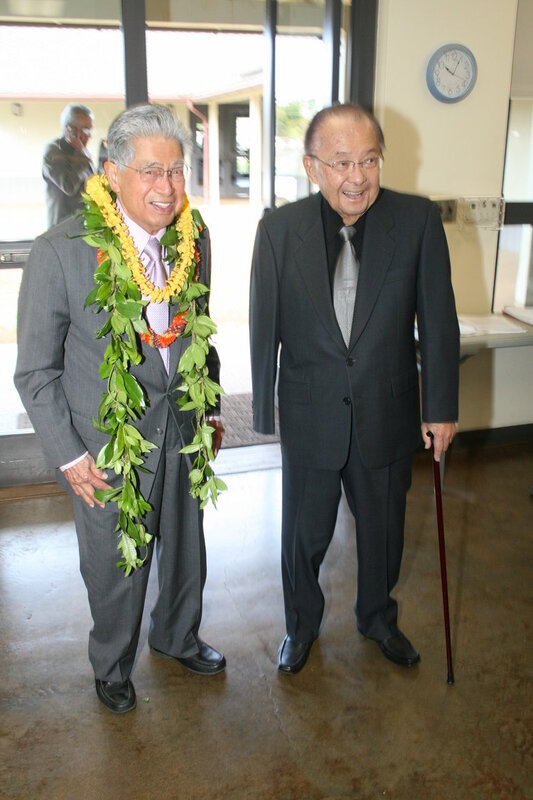 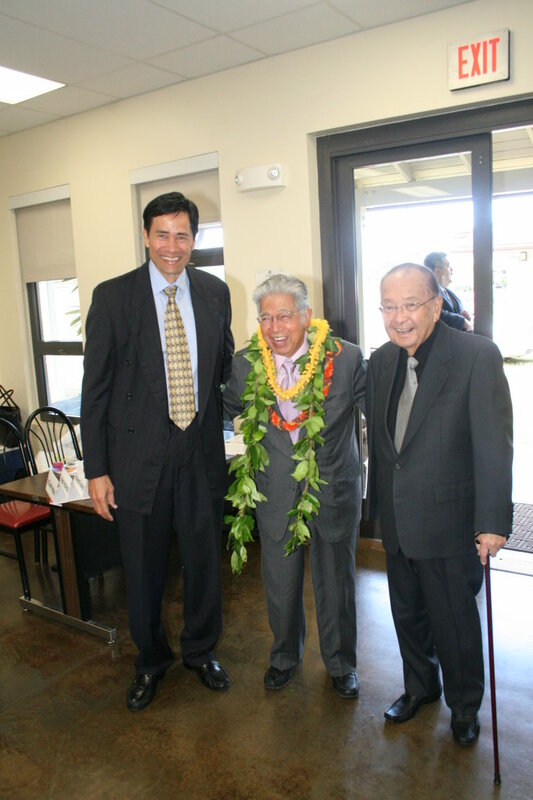 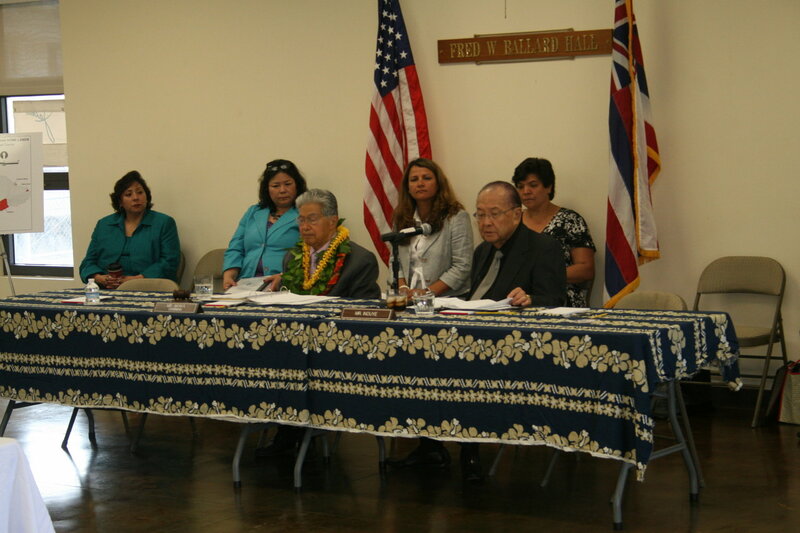 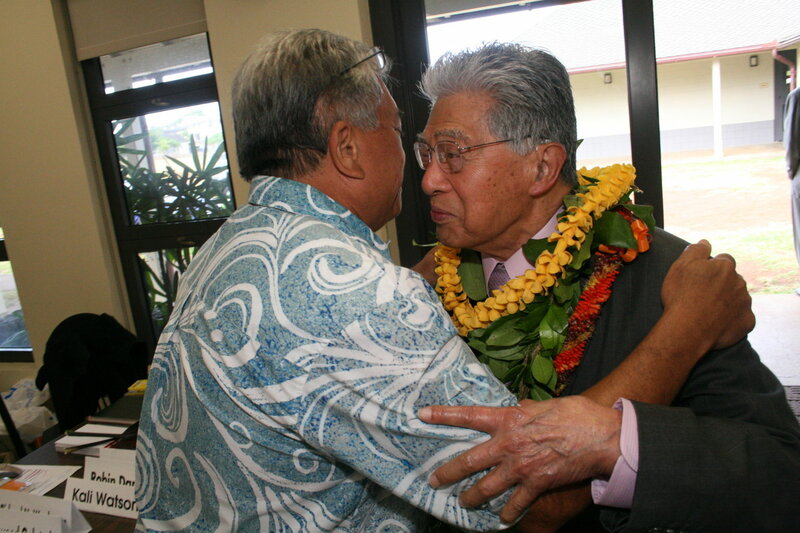 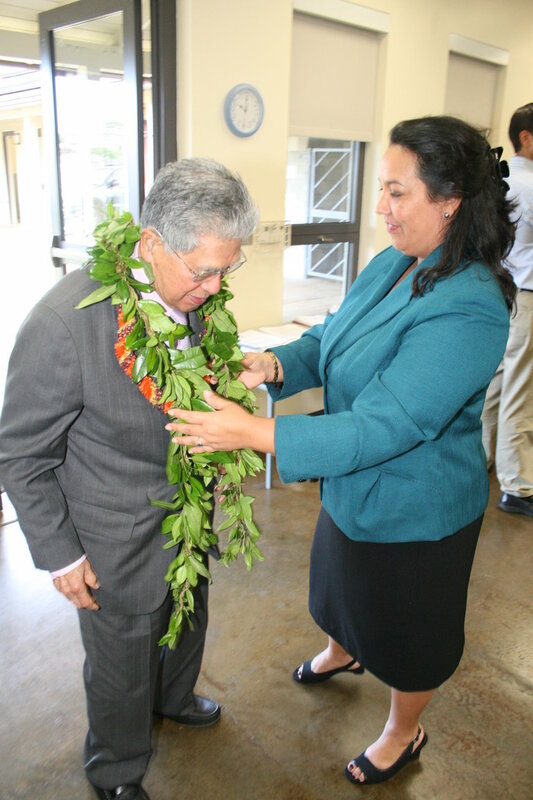 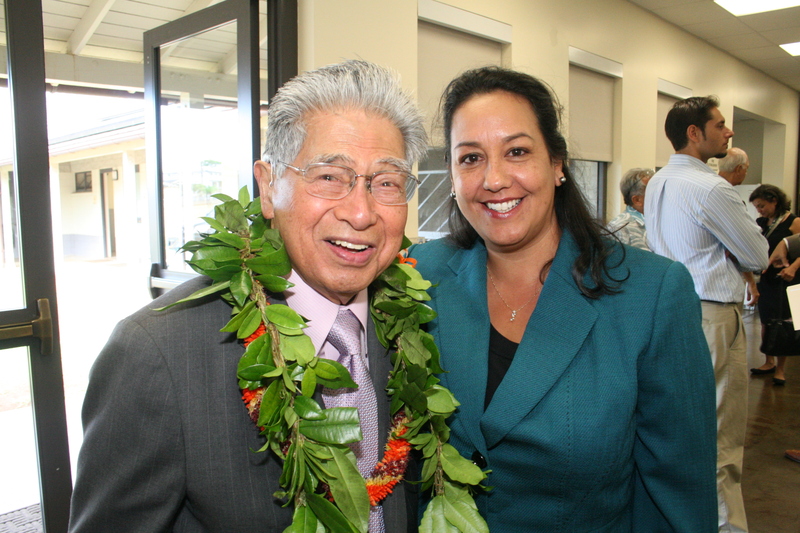 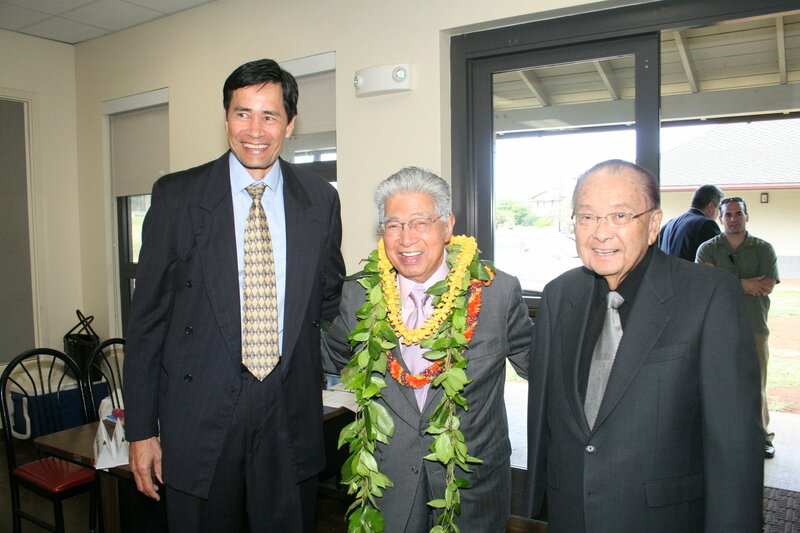 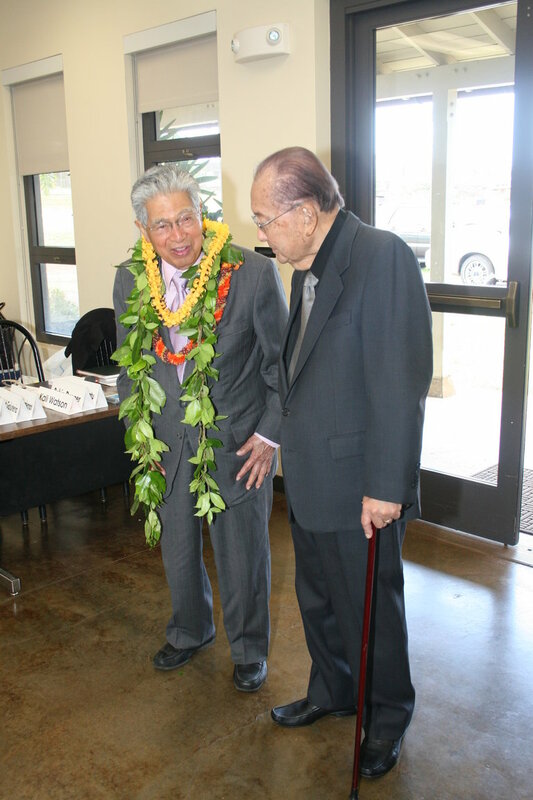 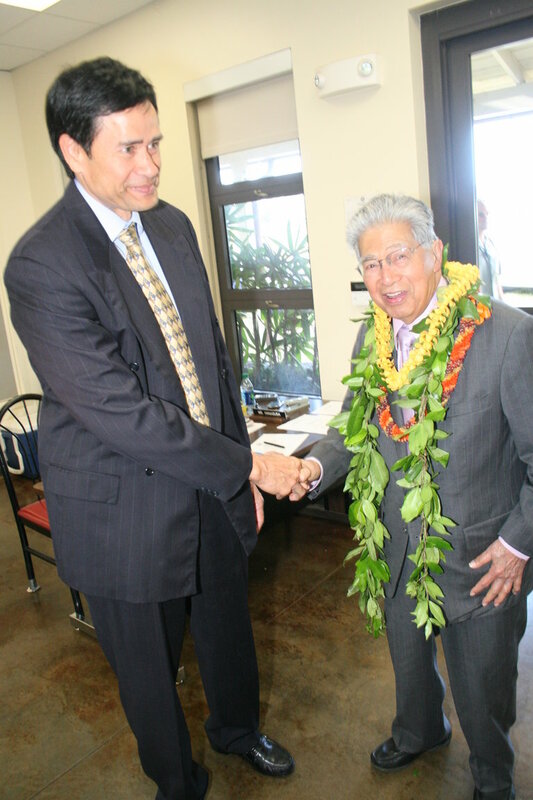 Senator Daniel K. Akaka, Chairman of the Senate Committee on Indian Affairs, at the Oʻahu Veterans Center today. 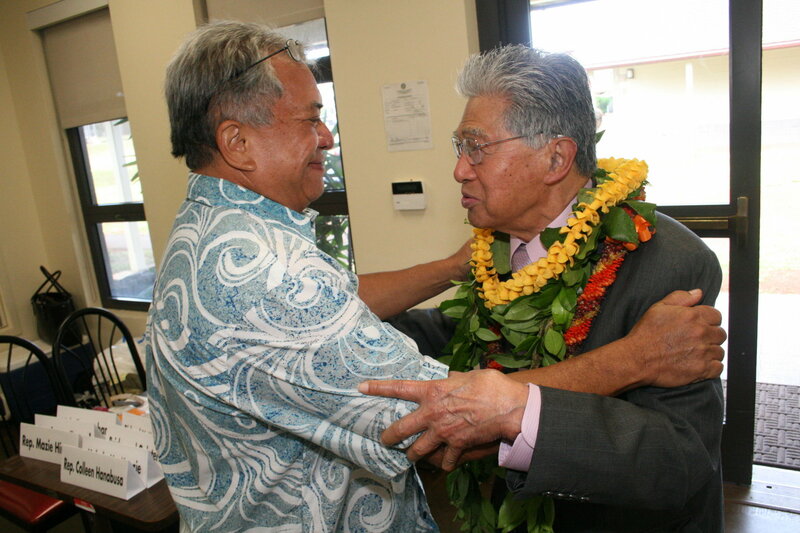 “I know this measure is so important to returning the native Hawaiian people to the ‘āina,” said Senator Akaka, who was joined by U.S. 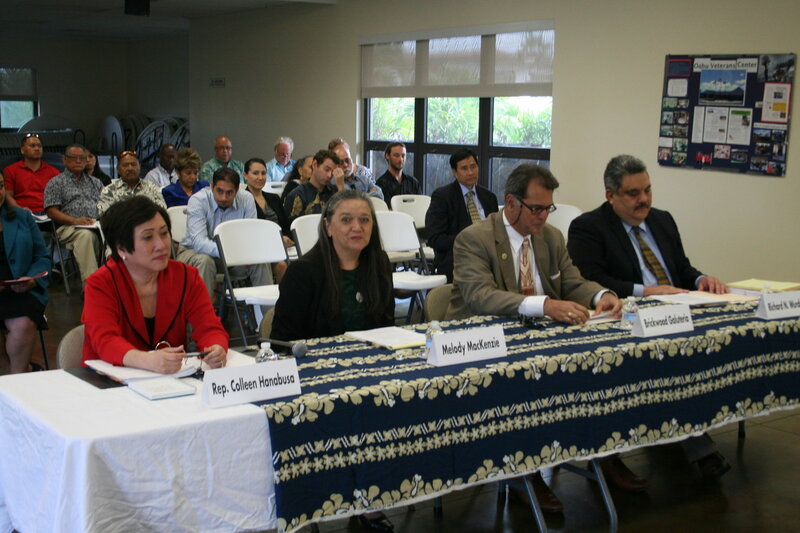 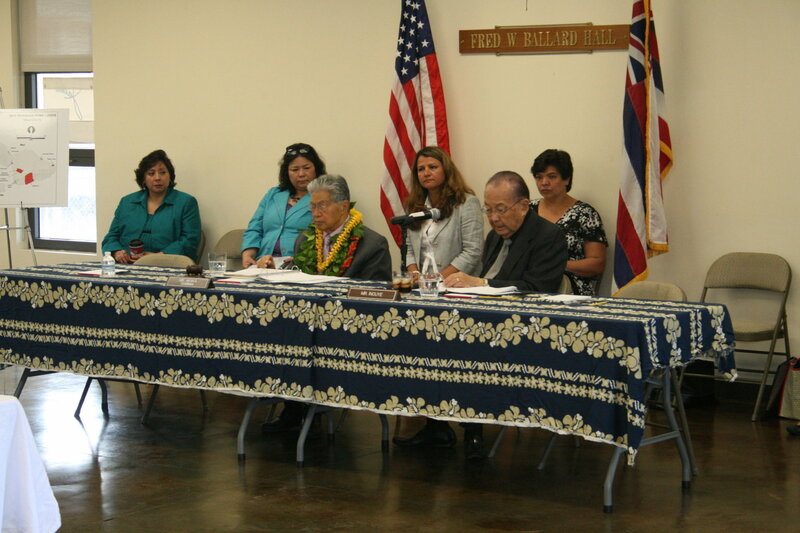 Senator Daniel K. Inouye and the entire Hawai’i congressional delegation testifying in support of the Hawaiian Homeownership Opportunity Act (S. 65). 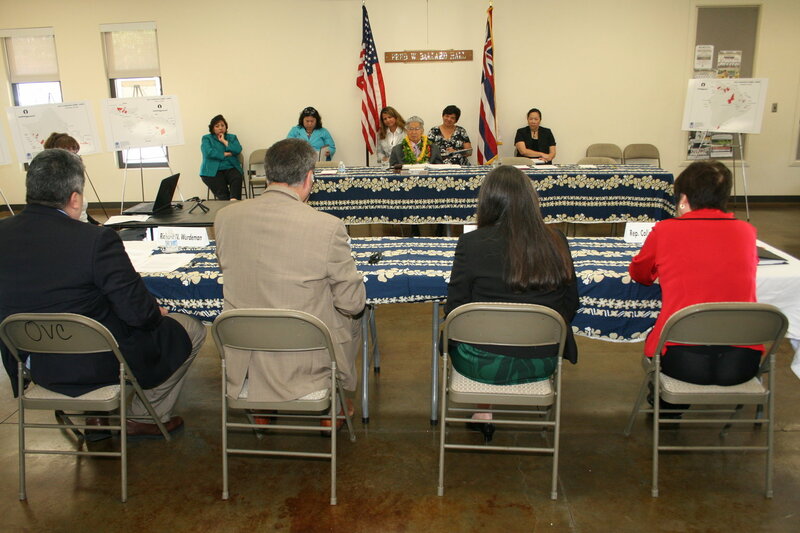 The Act currently provides federal funding for housing assistance and loan guarantees for Native Hawaiians, and is up for reauthorization in Congress. 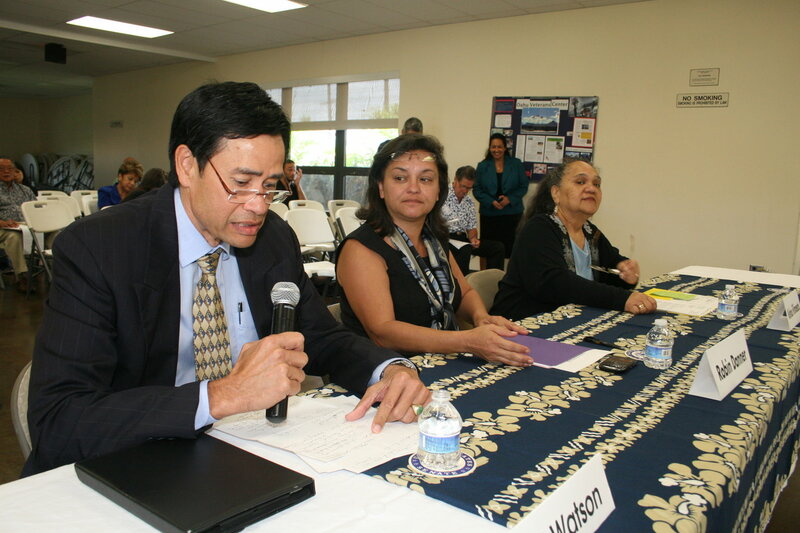 Since 2002, the Department of Hawaiian Home Lands (DHHL) has received funds under the Act in the form of a block grant known as the Native Hawaiian Housing Block Grant (NHHBG). 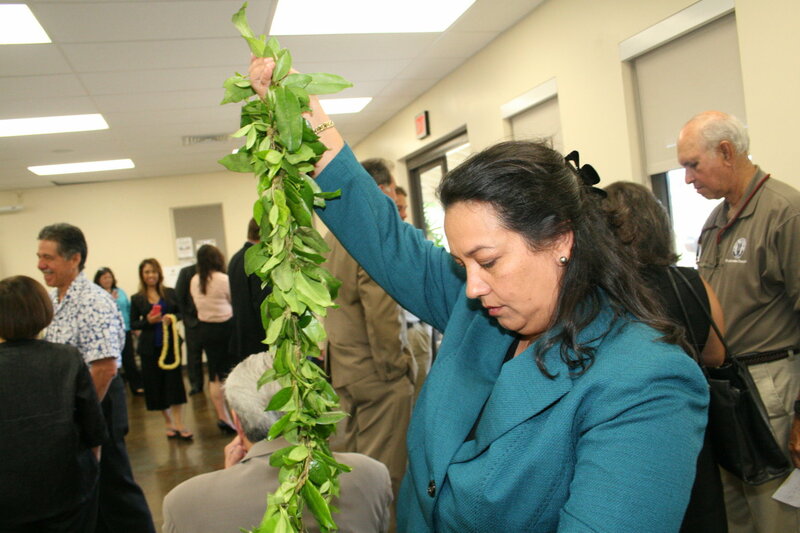 Federal funding under the Act is vital to DHHL’s continued service to beneficiaries in its role as the administrator of the Hawaiian Home Lands trust. 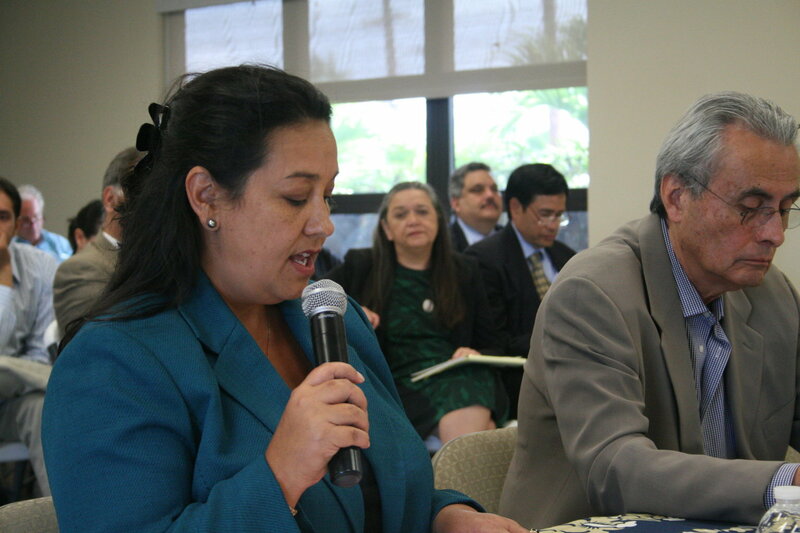 Also testifying in support of reauthorization were U.S. 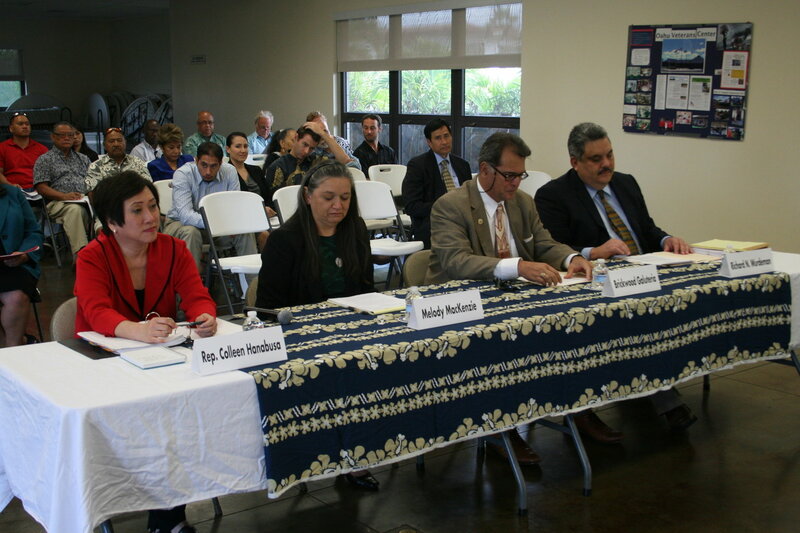 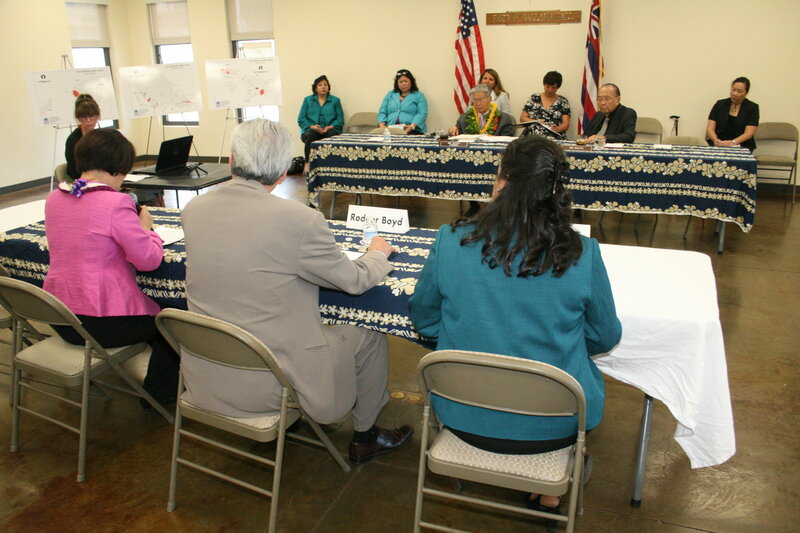 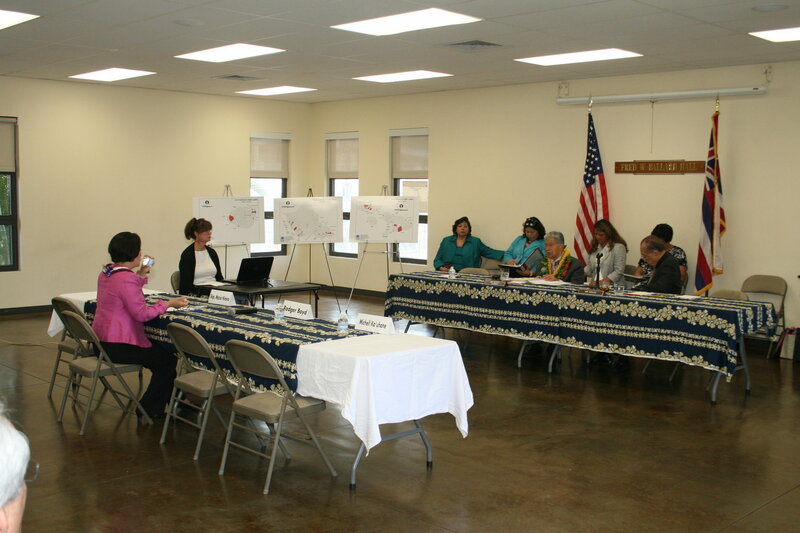 Representatives Mazie Hirono and Coleen Hanabusa, Hawaii State Senate Majority Leader Brickwood Galuteria, Deputy Assistant Secretary for Native American Programs at the U.S. Department of Housing and Urban Development Rodger Boyd, Council for Native Hawaiian Advancement President and CEO Robin Danner, and others.